This ½ day workshop will help demystify the networking aspects of Amazon Web Services. We'll start with the high-level concepts, cover security aspects, and conclude with inter-VPC routing and hybrid cloud implementations. Amazon Web Services Networking is a ½ day intensive instructor-led workshop. Build hybrid clouds by connecting AWS workloads with external networks. This workshop targets architects and designers who are planning, designing or building networking infrastructure within Amazon Web Services, or connecting AWS workloads with on-premises data centers. It will also help server, virtualization, security and networking engineers understand the advantages and limitations of AWS Virtual Private Cloud and Elastic Load Balancing. Ivan Pepelnjak, CCIE#1354 Emeritus, is an independent network architect, book author, blogger and regular speaker at industry events like Interop, RIPE and regional NOG meetings. 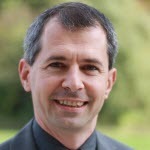 He has been designing and implementing large-scale service provider and enterprise networks since 1990, and is currently using his expertise to help multinational enterprises and large cloud- and service providers design next-generation data center and cloud infrastructure using Software-Defined Networking (SDN) and Network Function Virtualization (NFV) approaches and technologies. Contact us for more details, pricing or if you want to customize the workshop with your specific design challenges.